Vegas Paradise has released some new promotional offers from now until the 23rd of June 2018. If you are looking for some bonus spins offers, and if you have not yet claimed your No Deposit Spins offer from Vegas Paradise, then take a look at our Vegas Paradise May – June 2018 Promotional Offers listed below. 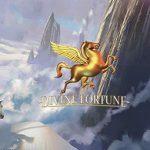 New players receive some great bonus spins on the first three deposits made. You will only be able to claim these offers by using our Exclusive bonus codes and links on this page. 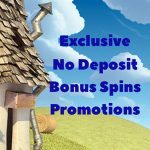 Claim 5 No Deposit Bonus Spins on registration. New players can sign up for a Vegas Paradise Casino account to receive 5 No Deposit Bonus Spins on the Warlords: Crystals of Power Slot. Claim 10 Aloha! 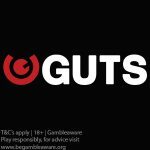 Cluster Pays Bonus Spins on your first deposit of £/€/$10. 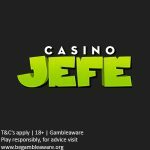 In addition to this, new players are also eligible to claim a 100% bonus up to £/€/$200 on their first deposit at Vegas Paradise. Claim 15 Wild Toro Bonus Spins on your second deposit of £/€/$15. Claim 25 Starburst Bonus Spins on your third deposit of £/€/$15. The No Deposit Bonus Spins promotion runs until 23rd June 2018, 23:59 GMT. The Deposit Bonus Spins promotions run until 30th June 2018, 23:59 GMT. No Deposit Bonus Spins winnings carry a 50x wagering requirement and must be completed in 7 days. The maximum cashout is £/€/$20. Deposit bonus winnings also carry a 50x wagering requirement. The following games do not count toward fulfilling wagering when bonus money is in play: Beautiful bones, Cool Buck, Forsaken Kingdom, Stardust, Untamed Bengal Tiger, Untamed Giant Panda, Untamed Wolf Pack, Jack Hammer 2, Robin Hood, Tomb Raider, and Tomb Raider 2. Posted in Vegas Paradise and tagged June 2018 offers, May 2018 offers.